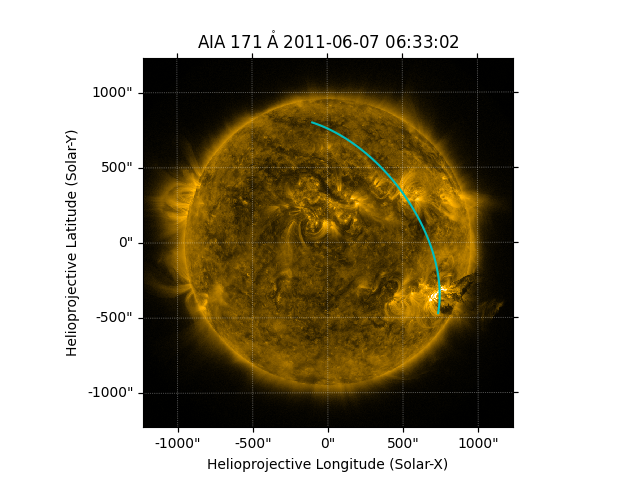 This example shows you how to define and draw a great arc on an image of the Sun, and to extract intensity values along that arc from the image data. Let’s define the start and end co-ordinates of the arc on the Sun. Create the great arc between the start and end points. Plot the great arc on the Sun. 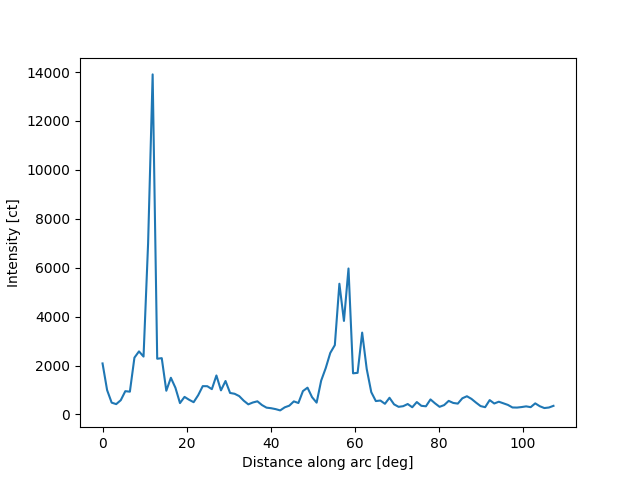 Now we can calculate the nearest integer pixels of the data that correspond to the location of arc. Get the intensity along the arc from the start to the end point. Define the angular location of each pixel along the arc from the start point to the end. Plot the intensity along the arc from the start to the end point.